FRISKY takes you into Ukraine’s electronic underground on the latest from the FRISKY Loves series. Continuing its mission to uncover the underground in all ends of the earth, FRISKY will be taking its listeners on a journey to Ukraine, featuring the artists and DJs that make its electronic music scene special. Known for its fertile farmlands, beautiful landscapes, and gorgeous women, Europe’s second largest country has a lot to offer the world, including its crew of underground electronic DJs. Spreading the music to an international crowd of listeners is one of the ways to showcase all they have to offer, and starting on Saturday August 29th at 6AM EST / 1PM Kiev [convert timezone], this selective group of DJs will be coming together to share the distinctive energy that comes from their history, hearts, and home. What should people around the world know about Ukraine? Tvardovsky: Ukraine is very beautiful, big and poor country near Europe. We have good and welcoming people, adorable women and bad government. SR Serge: Ukraine is a beautiful country with great culture. Unfortunately, the people are currently going through some rough times. I see this as a perfect opportunity for Frisky radio to show love to Ukraine with Universal Language of Music. What makes your underground electronic music community special? Tvardovsky: We almost don’t have underground community. People listening and love underground music, but we have only few venues who risking and make something for this scene. Main problem is very bad economy and problems with politic situation. SR Serge: Despite being a DJ/Producer, I am also a club owner. I owned Sullivan Room in NYC for close to a decade, then decided to franchise. The first franchise location happened to be in my hometown Kiev, Ukraine. I had the pleasure to work with a few great underground community DJ’s, Producers, Promoters and Event Planners. Based on that experience, I learned that Ukrainian people are very passionate about music. At that time underground music was still at a small scale. However with time, the underground community became one of the most well known underground scenes in Europe and around the world. Are there are unique challenges to being successful in the Ukrainian electronic music scene? Tvardovsky: Honestly I’m not successful in Ukraine, so I don’t know. 🙂 You need to have good and strong friends here, and money helps as well. Almost all top Ukrainian DJ’s don’t produce any music themselves and monopolize scene, now we have few really strong projects and trying to be success, but it’s directed to Europe and US scene. SR Serge: There are a lot of great talented Ukrainian artist. Because of tough times its very difficult to get ahead for many artist due to economical corruption. Few people dominate the markets, which makes it difficult for other artist to succeed by creating a monopoly. Money talks. This is a unique opportunity to showcase some real talent via Frisky. Showing Frisky radio some love back. What advice would you have for Ukrainian DJs and producers looking to get into that scene? 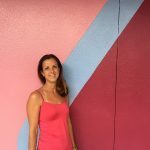 Tvardovsky: First you need to be successful outside the country and then maybe you will be get some gigs and support here. Sadly but it’s true. 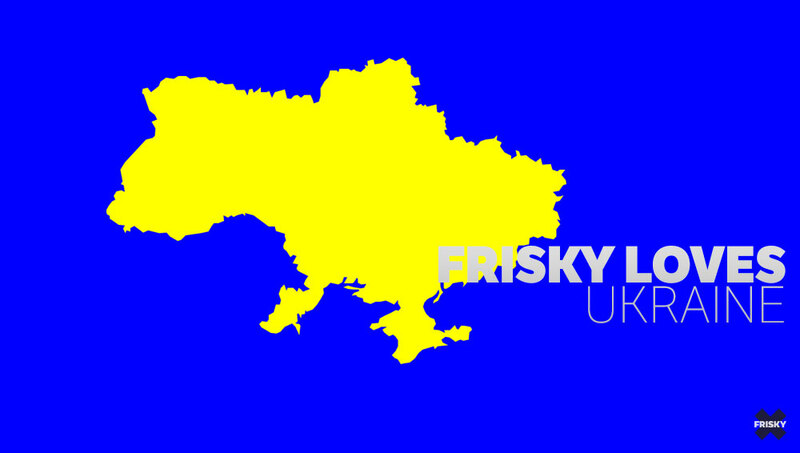 What can we expect to hear from the FRISKY Loves Ukraine DJs? Tvardovsky: Some Ukrainian DJ’s and musicians have unique and awesome taste for music, we have a lot of real talents here and I hope they show their potential to rest of World. SR Serge: Let the music speak for itself. Let our carefully selected mixes convey its qualities. Let it answer for itself by speaking the universal language of music, well known around the world and beyond.